I had an edifying week this week. We taught our first mach investigators to help us improve our teaching skills. It takes a lot of simplification and getting them to commit on their part. It’s really interesting to think that I don’t have a very huge role in teaching and that the investigator really converts themselves. There are still things that needed to be improved on, but so far we haven’t been doing too bad. I just want to say that recognizing the spirit in our lives is difficult sometimes, but we just really need to listen. If it is good, acting on our minds and hearts, then that is the answer from the spirit. I should be relying on the Lord more and more as I am his minister. I am to present his Gospel according to the needs of those that we are teaching. I really appreciate all of your emails, and I read all of them throughout the week. Stay true and faithful and the Lord will answer your prayers. 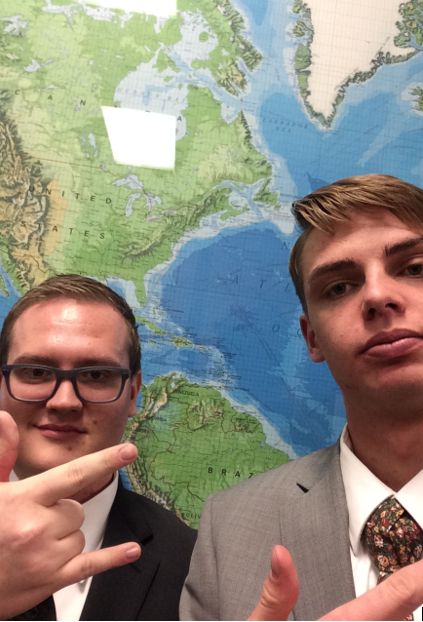 Note: Elder Searle leaves for Minnesota on Wednesday, March 22.